Europe + UK Shows - ON SALE NOW! Let's roll, EU/UK! 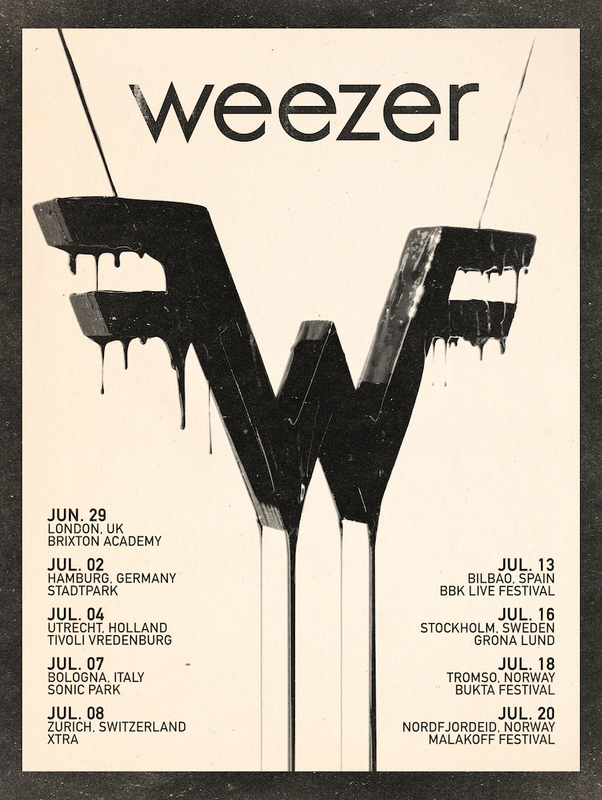 Tickets for the summer shows just went on sale. Will we be seeing you there?! Things are about to get a whole lot darker, your second taste of the Black Album is here - listen to "Zombie Bastards" + get the song. New York, the Weezer x PIXIES tour is coming to Madison Square Garden on March 12th, and we're bringing along special guest TV On The Radio to join the fun. The mailing list pre-sale starts Monday, 11/26 at 11am ET. Sign up to the mailing list by Sunday at 7pm ET to get the code sent to you. General on sale starts Friday, 11/30, at 12pm ET. London, Hamburg, Utrecht, Bologna + Zurich - we're coming for you! Pre-sale for these shows starts 28/11 at 9am UK - Sign up to the mailing list by 27/11 at 7pm UK to get the code emailed to you. General on sale starts 30/11 at 9am UK. Can't stop, won't stop. 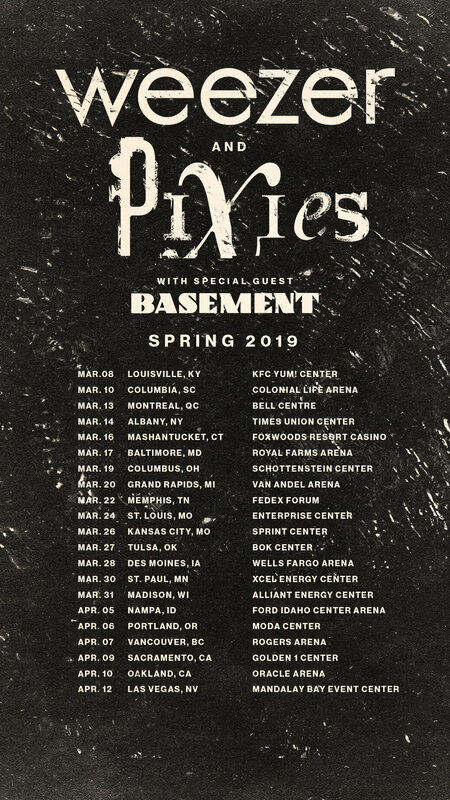 Excited to have Basement jumping on the spring tour with us + PIXIES! See you there - tickets on sale now. Mailing list pre-sale starts Monday 11am local (**please note 11am, not 10am**). Sign up by 7pm ET on Sunday to get the code emailed to you. General on sale starts Friday 10am local. First order of business, taking you on a ride in the new video for Can't Knock The Hustle. Watch it and drop a ⭐⭐⭐⭐⭐ review in the comments for Pete Wentz. Get the song. Weezer x PIXIES, the sequel. That's right, it's happening again (because we had so much fun the first time around). Pre-sale starts Monday at 11am local, sign up to the mailing list by Sunday at 7pm ET to get the code (code will be sent out on Sunday night).